The new version of Gambit Chess Studio adds a number of new features. The most obvious change is that the store is now sorted according to categories. Touching one of the bookshelves displays the contents of that particular category (in some cases there may be a further division into subcategories). 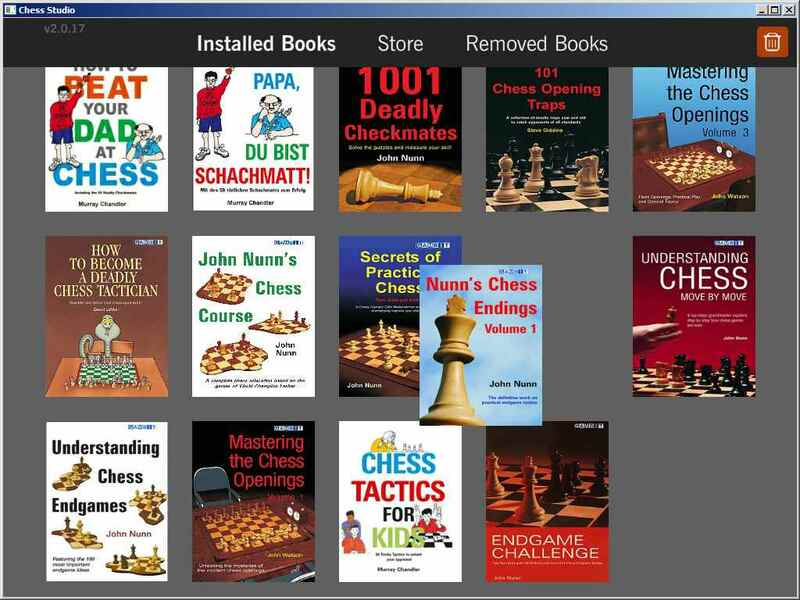 If you would like to browse the complete Chess Studio book list, then just touch the ‘Complete List’ category. In the top right of the screen there is a search function. Entering text here and touching the magnifying glass search icon will search the book list for matches. The text searched includes both the title of the book and the text description of the book. 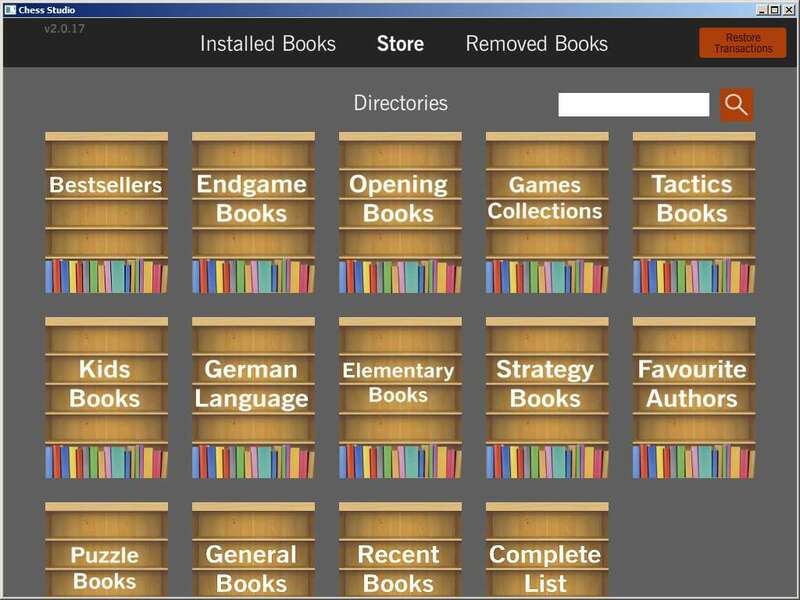 The next new feature is the ability to re-order the books in the installed book list. To move a book, simply touch and hold it for a moment. Then you can drag the book to any position you like. In the above image, the user is dragging Nunn’s Chess Endings to a new position. Within the app itself, it is now possible to copy the live board position to the clipboard. Touching and holding the live board for a moment shows the ‘Copied position’ message. The position has been copied to the clipboard using the industry standard FEN description. It can then be pasted into any chess software which supports FEN. 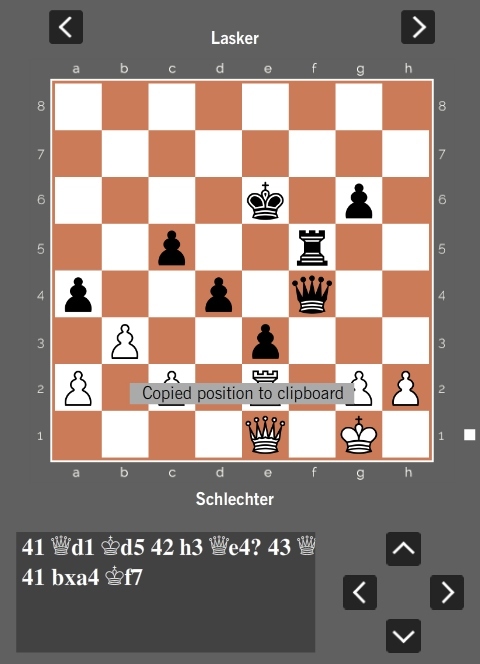 This enables you to analyse the position using a chess engine such as the free Stockfish.